In the Pul Pehlad mohalla (settlement) of Lal Kuan in outer Delhi, everybody knows ‘the boy with the pushcart’ or the ‘chilli-potato boy’. He is the youngest pushcart vendor in the area. I spot him running through a narrow lane in the slum settlement, bordered with open sewers, to the empty space where he parks his handcart. He rolls the cart to the end of the lane, wedges stones against its wheels to keep it immobile, and disappears into a room. 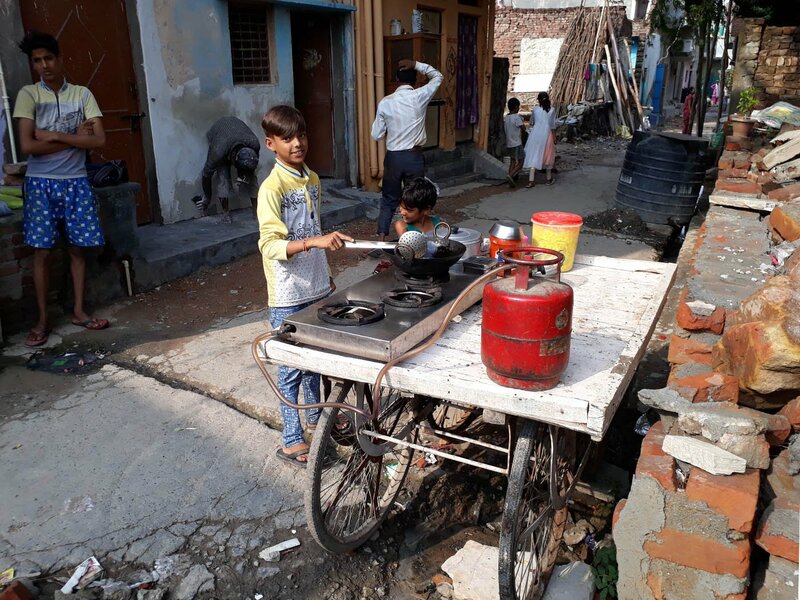 For 14-year-old Arjun Singh, who will soon load his cart with potato chips and momos for sale, this is a daily routine. It is an isolated and difficult world. On July 14, 2013, Arjun’s father Rajeshwar Singh died while cleaning the sewers at the Indira Gandhi National Centre for the Arts. He had been employed there since 2011. He was one of three cleaners who inhaled toxic gases and died in the building’s basement. 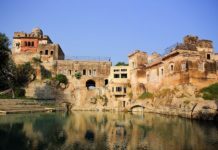 The other two men were Ashok Kumar and Satish Singh; all of them were contractual workers at the government-run centre for the performing arts. All three belonged to the Valmiki Dalit community, and all of them lived with their families in the Valmiki basti of Trilokpuri (Laxmi later moved with Arjun to where her married daughter Minu lives, in Lal Kuan). Since then, Ashok Kumar and Satish Singh’s families have returned home to Meerut. Neither of them received the Rs. 10 lakhs compensation mandated by a 2014 Supreme Court order for families of conservancy workers who die doing this hazardous and dehumanising work. More than four years after Rajeshwar Singh died, Laxmi has received only Rs. 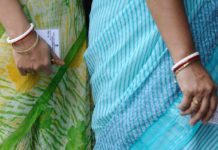 4 lakhs – ostensibly because her husband was on contract, not a permanent employee. Laxmi, in her late-30s, also once worked as a sanitation worker – sweeping, removing garbage, doing other cleaning tasks – at the same National Centre for the Arts. She and her husband each earned Rs. 3,500 a month. After her daughter Minu’s marriage in 2011, however, she says she lost interest in the work and became irregular. And after her husband’s death, she refuses to consider a job that entails cleaning or scavenging. It is 3 p.m. as we speak, time for Arjun to get his wares ready. He grabs some potatoes from a sack and begins slicing them. After he has washed the chips, he casually adds in spices, talking about the whole process as if he were a masterchef on a television show. Then he begins to prepare the momos. Finally, everything is placed on the pushcart – gas cylinder, stove, cauldron, ladle, plates, chutney. His mother helps, arranging the corncobs. 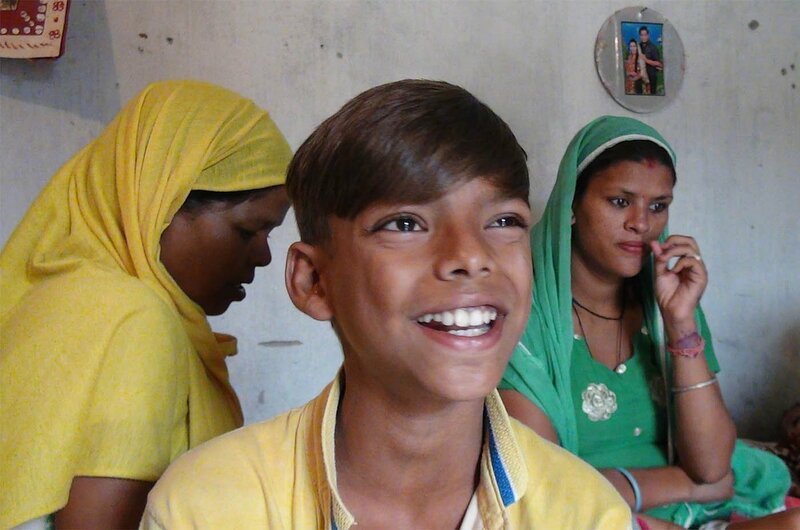 Arjun sells his snacks in the mohalla every afternoon after school, making a profit of Rs. 100-150 on good days, though sometimes as little as Rs. 50. Often, people do not even pay the Rs. 10-15 he charges per plate, and buy from him on credit. Sales are generally higher on weekends and festivals. Laxmi and Arjun have small dreams for the immediate future. Of selling boiled eggs, of setting up a small shop where they can sell items of daily need and increase their income. But even these small dreams need capital. The Rs. 10 lakh compensation would have provided that capital. 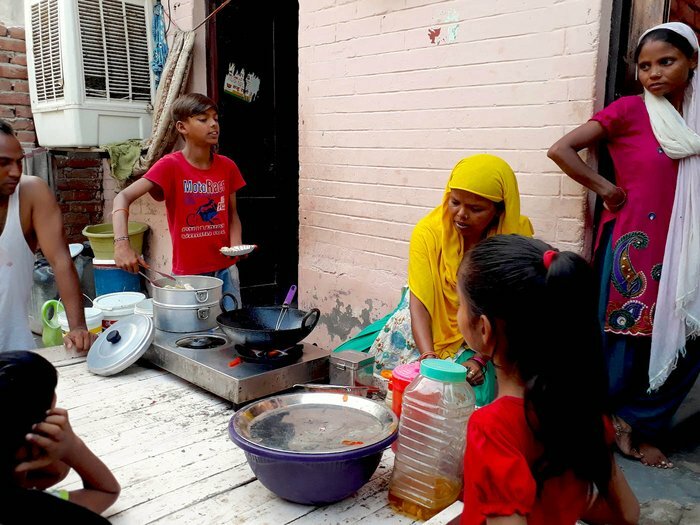 The Safai Karmachari Andolan, a community-based organisation working to eradicate manual scavenging, is helping Laxmi fight for the compensation, but Rajeshwar Singh was a contract worker, not a regular employee, leaving a loophole that his employers can exploit to refuse payment of the entire amount. The Andolan also helped Arjun get admission in Class 6 at a government school, the Sarvodaya Bal Vidyalaya, Tughlakabad. 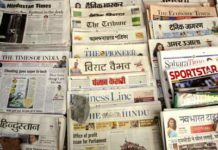 The family did not have the address proof required for admission, and Arjun’s previous school in Trilokpuri delayed the issue of a transfer certificate. Now that Arjun is finally back at school, he can dream bigger. He dreams of becoming a bank manager and a chef. This report was originally published by the People’s Archive of Rural India (PARI). Read the original copy here. Featured image by Bhasha Singh.